in the empty bottles, and thereby the company became a company that sold fluid products to the Danish households. of both Danish and foreign products to the DIY market. 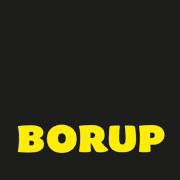 Today Borup Kemi is the largest manufacturer / bottlery in Denmark , of products for the Danish households, and the special trade. And Borup Kemi is one of the big suppliers for the DIY market, both with own Borup products, but also with other Danish and foreign brands. Our production in Borup consists of both fluid and powder products, and also several cleaning and caring products. All in all our assortment have more than 3,000 various products, and on average there are always 3 Borup products in a Danish household….